“We will have fun because the game is truly for the fans,” Jovane Parkinson, cornerback and sports management junior, said about the 30th annual Maroon vs. Gold spring game. 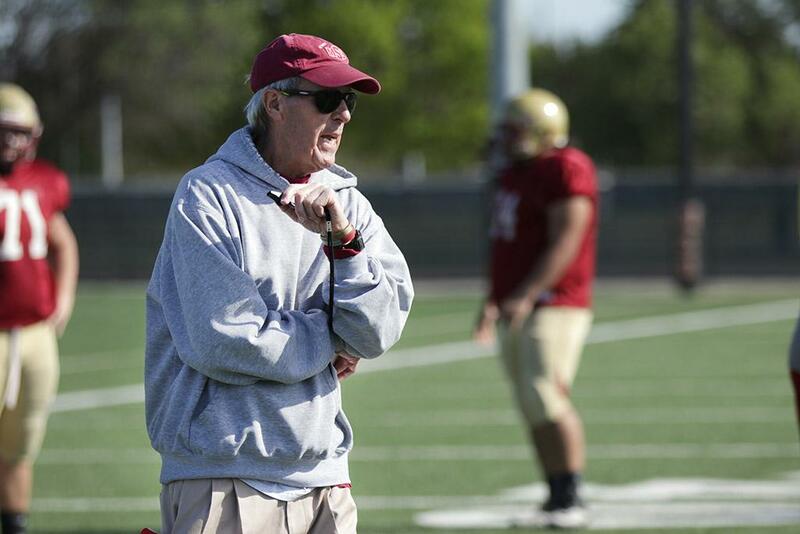 The football team is preparing for the 30th annual Maroon vs. Gold spring game that will take place on April 14 at Memorial Stadium. The coaches separate the players into two teams and prepare them to face each other. Since 2006, the maroon team leads gold 8-4 and has taken down the gold team for three years straight. The last year the gold team won was 2014 with a score of 24-21. The team has been preparing for the game with practices and scrimmages since March. The game will help the team know where they are and what they can look forward to in the fall, according to Jaydon Cunigan, defensive back and criminal justice junior. “We get a lot of work in as a team and the spring allows the freshman and transfers to show what they have, as well as giving team vets a chance to up their game. This is usually the time where you can gauge how we will be for the upcoming season.” Keith Domino, offensive lineman and economics junior, said. The coaches and players will be able to identify the strengths and weaknesses throughout the team. They will be able to improve the chemistry between receivers and quarterbacks, as well as limit big plays in defense, Sam Frederick, wide receiver and mass communication junior, said. Aside from being beneficial for the upcoming season, the game is fun for the players and fans. The game is truly for the fans as Parkinson said. But this game is not treated any different than a regular game, since every game for the team is fun and exciting.